This week, SUNAIRLIFE ‎ finally unveiled their exciting vehicle wrap. The concept behind SUNAIRLIFE was to create a food truck that is one hundred percent electric. 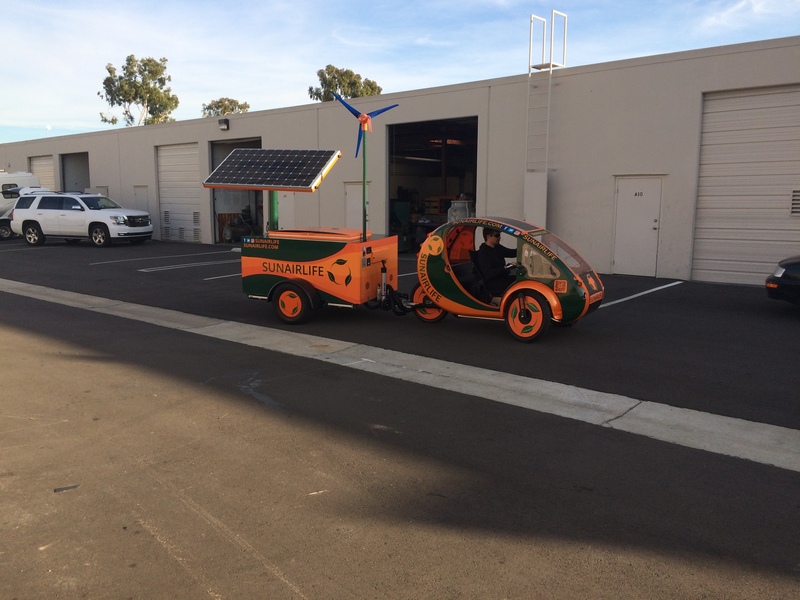 The vehicle itself utilizes solar cells and wind turbines to generate energy rather than traditional gasoline. As a result, the car is environmentally friendly and completely self-sustaining. SUNAIRLIFE is a Santa Monica based food truck that offers deliciously healthy alternatives to traditional food truck lore, like acai bowls! This, combined with their dedication to a clean energy truck, creates a revolutionary farm-to-table experience. The primary goal behind SUNAIRLIFE is to innovate the way in which people view energy and health. Full Sail Graphics & Marketing is an eco-friendly business that takes every possible measure to make only a positive environmental impact. We have reduced paper usage by converting to primarily online contracts and we recycle everything we can, like used cardboard boxes or empty ink cartridges. With our dedication to preserving the environment, we can really appreciate the steps that SUNAIRLIFE has taken to foster an environmentally friendly business. As such, it was a privilege to create a vehicle wrap that would represent their brand. With any vehicle wrap, especially those for food trucks, it is very important that the truck itself gives potential customers insight into what type of service they should expect. An earthy green colored food truck may imply healthy food choices, while a a hot pink box truck may connote more bold flavored food. SUNAIRLIFE’s vehicle wrap uses earthly colors, like green and orange, that are consistent with the theme of their brand. Their logo is represented by 3 green leaves that create an open circle. The logo itself is similar to the recycling symbol, a correlation that makes tons of sense considering SUNAIRLIFE’s dedication to the environment.